Raw, Other CD & Sound Bank from Status / Daniel Stawczyk. 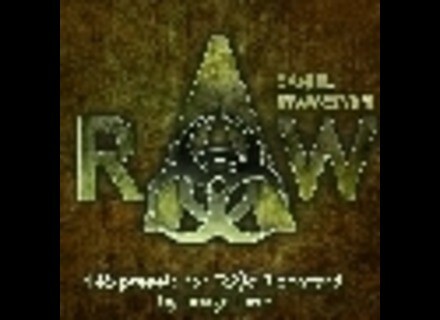 Daniel Stawczyk (Status) has announced the release of RAW, a new 145-preset bank for Toxic Biohazard by Image Line that offers a selection of sequenced melodies to mix with the spectral special effects or with synthesizers. * all the presets have mod-wheel and aftertouch action mapped. acid.milch&honig stylobox v1 & transistor drums v2 acid.milch&honig has released stylobox v1.0 and transistor drums v2.0c. Both plug-ins are free / donationware and are available for Windows as VST instrument plug-ins. Culture Electronic Gladiator Dance Sounds 1 & 2 Culture Electronic has announced the release of Gladiator Dance Sounds 1 & 2, two soundsets for Tone2's Gladiator, and Vanguard Trance World, a soundset for reFX's Vanguard. PlugHugger Bassbox for impOSCar Plughugger has announced the release of Bassbox, a collection of 180 new sounds for GForce Software's impOSCar with one common theme: bass.